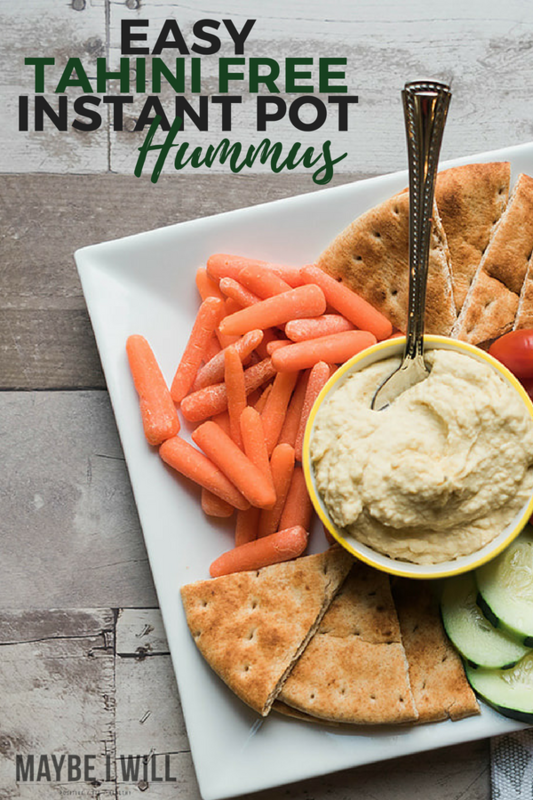 Instant Pot Hummus is sure to become a fan favorite in your home! 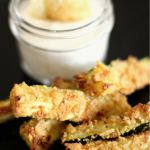 It is rich, creamy and savory! All the things a good hummus should be!! Hummus is one of those things that can be made to perfection or that can be made horribly, and irrevocably bad! I have had both – I have gotten uber excited with a bright and shiny tub of hummus and gotten home and hated it. When it comes to store bought hummus – I’m sorry to say that is usually the case. But I have also gone to Greek restaurants and I wanted to lick the remaining bits of hummus off the plate it was sooo dang good! 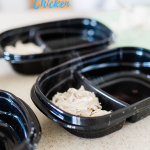 So I often found myself in a bit of pickle when it came to hummus – I like the idea of hummus – It is a great dip for veggies loaded with extra protein and fiber, a much better option than other fat-laden dip varieties. So I usually just skipped hummus all together as to avoid spending money and wasting it. 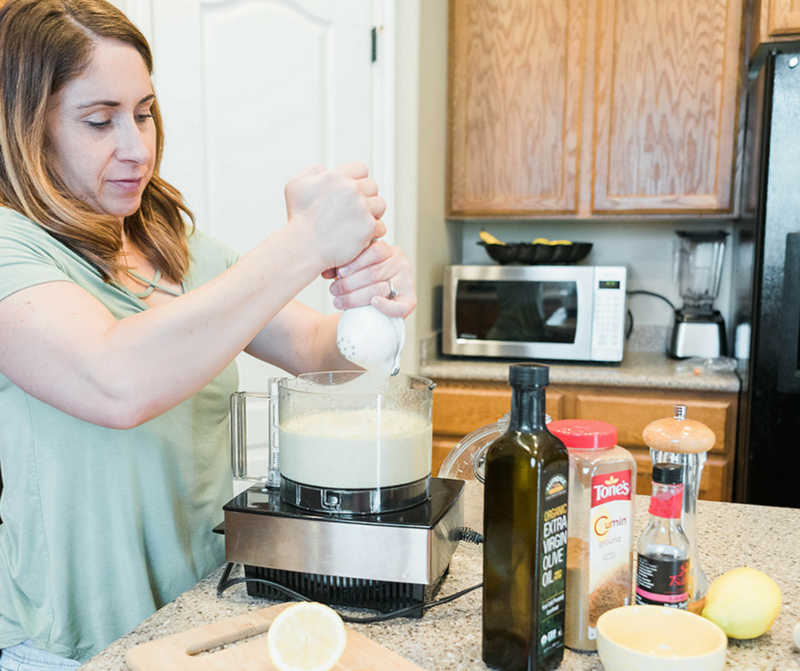 When my friends came into town a couple months back, and my classically trained chef friend, Erik showed me how easy to make and DELICIOUS homemade instant pot hummus is – I was hooked and have been making it pretty much all the time since his visit in April. 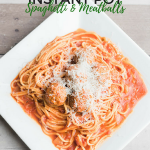 It is a cinch to throw together and you probably have all the ingredients in your kitchen right now, which is a huge win in my book! 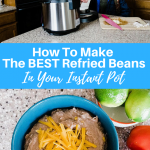 If you are not on the Instant Pot train yet – no biggie, you can use canned chickpeas and the recipe still works great- but let me tell ya homemade beans trump canned any day of the week – which is why my Instant Pot is currently the appliance I cannot live without. I think the reason why me and hummus have a love-hate relationship is Tahini – I cannot stand the stuff. So I gravitate towards fresher tasting varieties free off Tahini’s strong flavor profile. 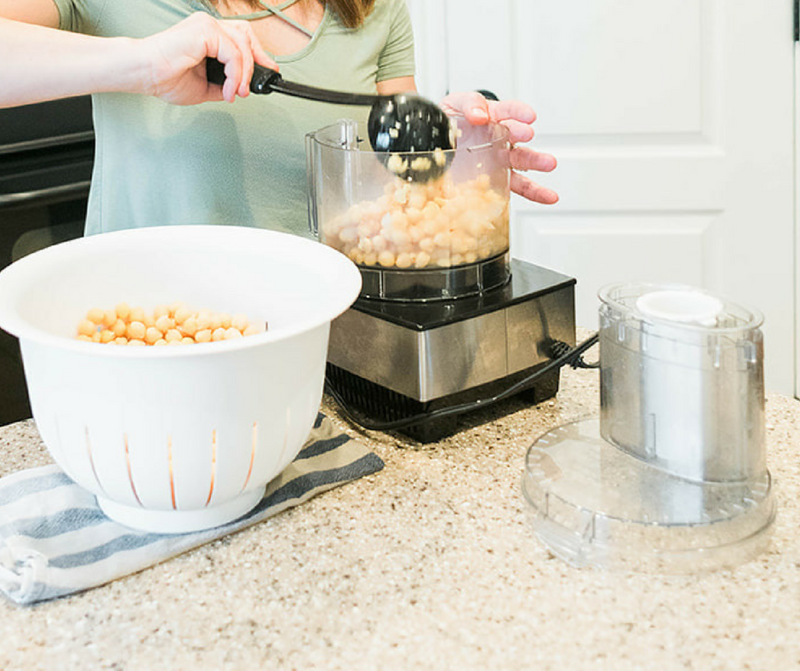 To get started you’ll want to soak 1/2lb of dry chickpeas – overnight is optimal – yes you can make them dry – but soaking helps release starches and sugars that cause, for lack of a better word – gas. So do your loved ones a favor and soak your beans! Once your beans have soaked overnight rinse and drain them – PS Chickpeas stink! So be prepared for a strong smell – they have not gone bad it is totally normal! 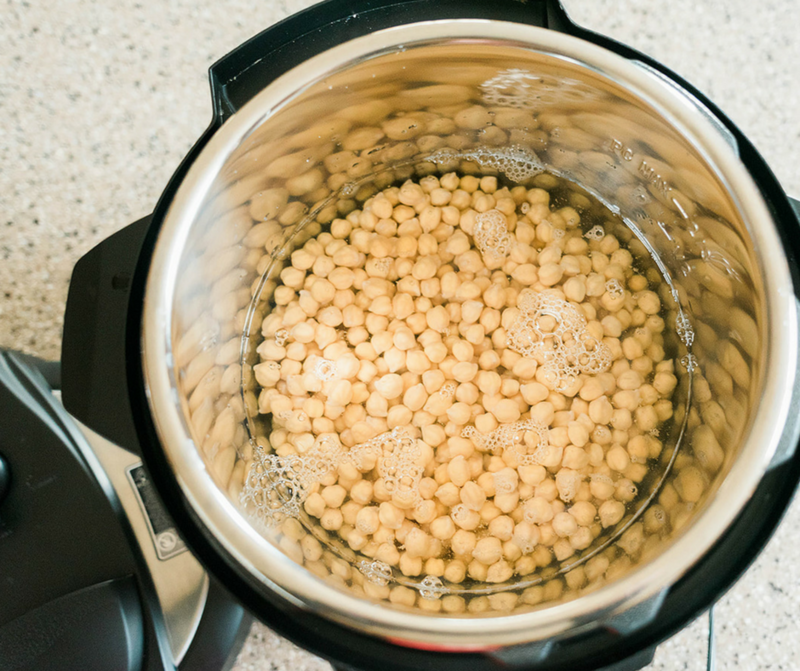 Place your chickpeas in your instant pot and cover with water until all are submerged, Place lid on and make sure valve is set to “seal” hit the manual button and set for 17 minutes, once the timer goes off, carefully do a quick release of pressure. 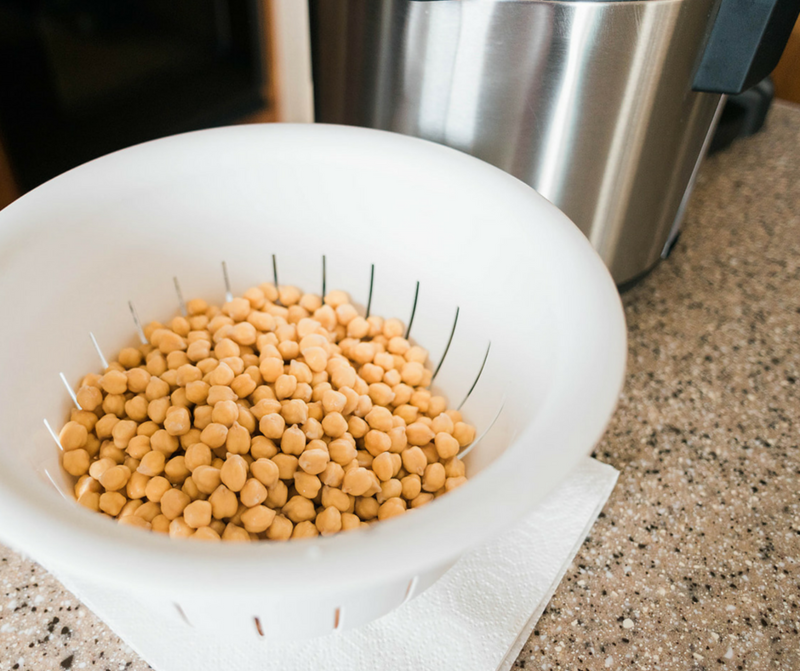 Once the chickpeas have cooked, drain and rinse them in cold water until they have cooled off. And then scoop them into your food processor. 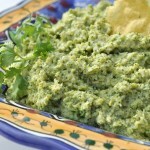 A Food processor works best for getting desired consistency! 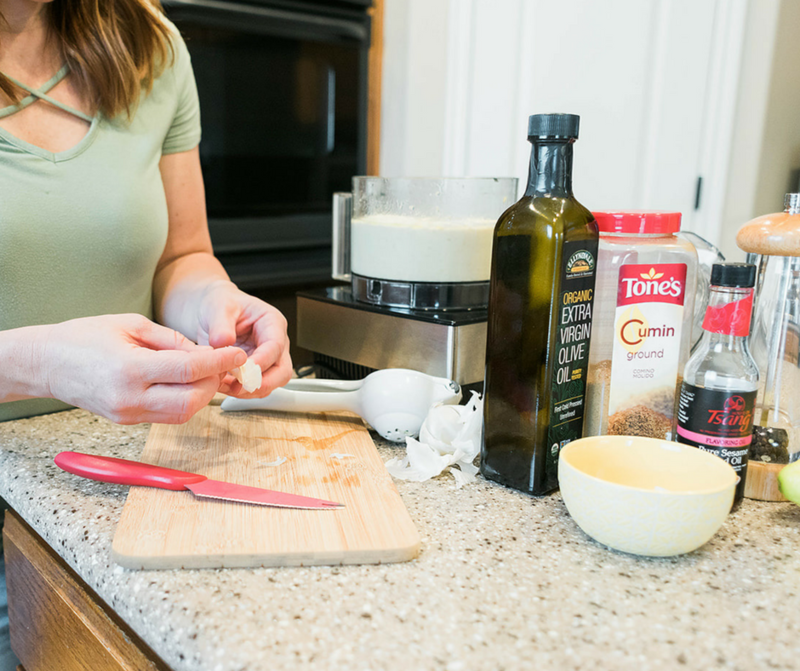 Like any good Greek will, tell ya – the key to good Hummus is really good Extra Virgin Olive Oil! So make sure you are using a high-quality brand! 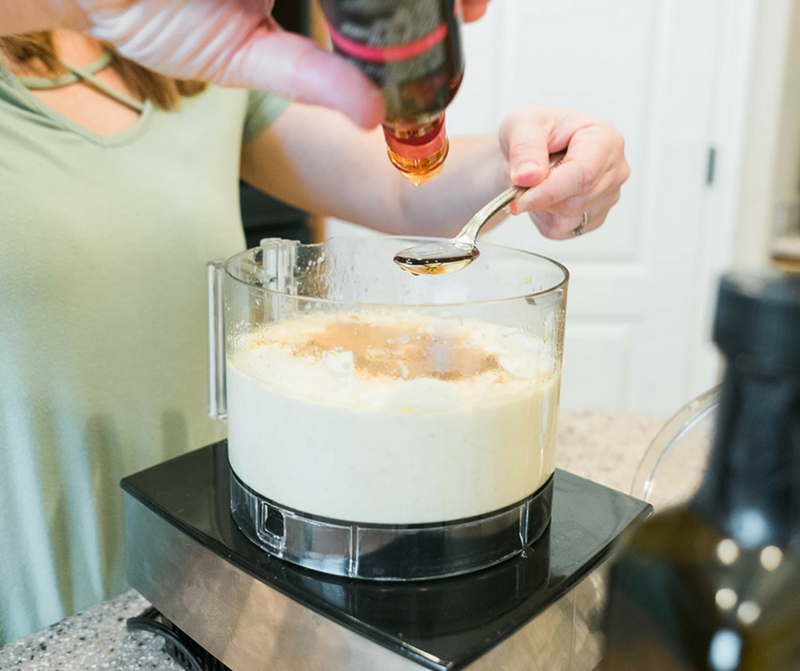 Mix in oil slowly and incorporate until a creamy texture is reached, you can also add a 1/4 -1/2 cup of water to help with consistency as well. 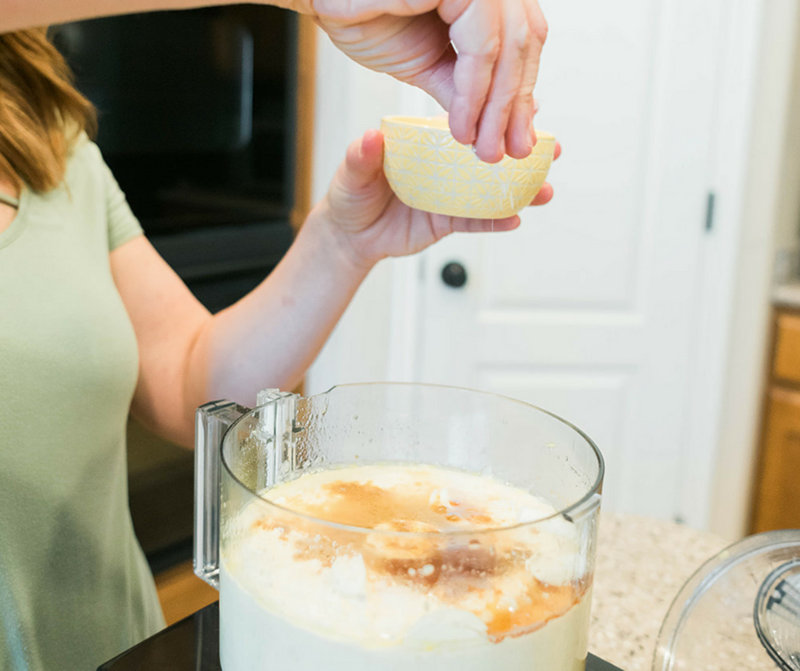 Work out those guns by squeezing those lemons! And the hint for being able to skip the Tahini… Toasted Sesame Seed Oil! 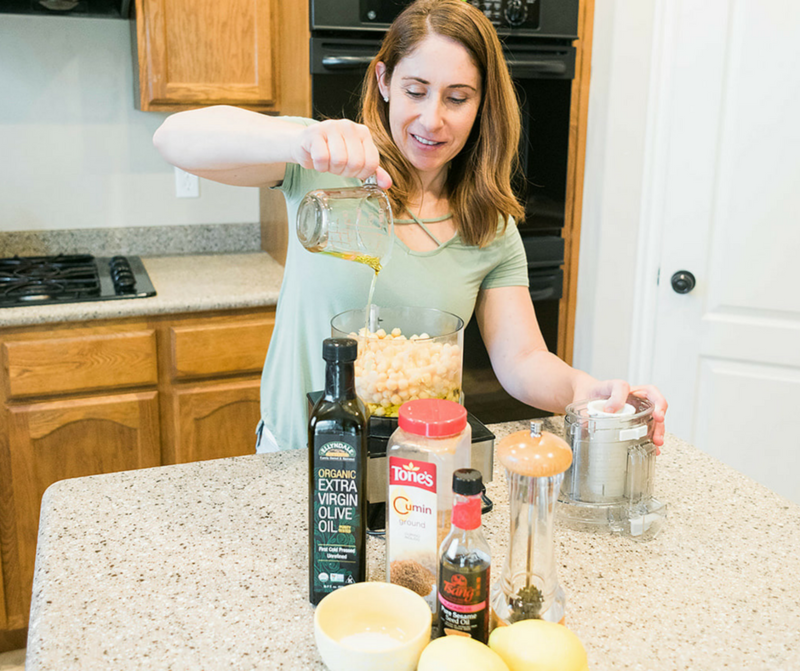 Really, making your own instant pot hummus is that easy – soak some beans rinse them, throw them in your instant pot, drain em’ add in a bunch of ingredients in your food processor and let it blend! So easy!! Soaking them overnight is the most time-consuming part… But I just put them out before I go to bed and then they’re ready for me the next day! Instant Pot Hummus from scratch has never been easier! 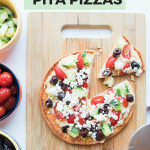 Try using this instant pot hummus to make my Greek Pita Pizzas– Heaven!! !